Rosh HaShanah is upon us once again! The Jewish New Year begins Sunday October 2nd at sundown, and I just can’t wait to celebrate! This is my first new year as a married lady, my second as a food blogger, my third living in the Bay Area, my fourth since moving back to the USA from Israel. My husband and I are hosting a dinner for the first night of the holiday, starting the new year with dear friends, good food, and a damn fine playlist. Like a every Jewish holiday, there are traditional foods to be had – apples dipped in honey for a sweet and fruitful new year, long green beans and leeks, crown-like pumpkin or other golden squashes, new fruits, the list goes on. Check out my curated recipe roundup posts from last year for lots of inspiration – Meaty, Pescatarian (that’s SF foodie for fish), Vegetarian, and Desserts. Cheeses – I love cheese, it is festive and requires no preparation. I might get a post up about planning and assembling a perfect Rosh HaShanah cheese board. There’s nothing better than wishing my loved ones a rich, cheesy, and funky new year! Fish – It’s traditional to serve the head of a fish so that we may be the head rather than the tail. Also, the holiday is literally called the head of the year. Mostly though, if I’m serving cheese, I’ll make a veggie or fish main course to keep with the kosher. My mother’s honey cake is rich, dense, and gloriously spiced. I love making it for the High Holy Days (HHD! ), but I also play the field with other recipes. To be honest, most recipes just don’t measure to my mama’s – too bland, too dense, too dry, or just meh. For me, this is a spice cake – it shouldn’t be subtle, the spices should take center stage. 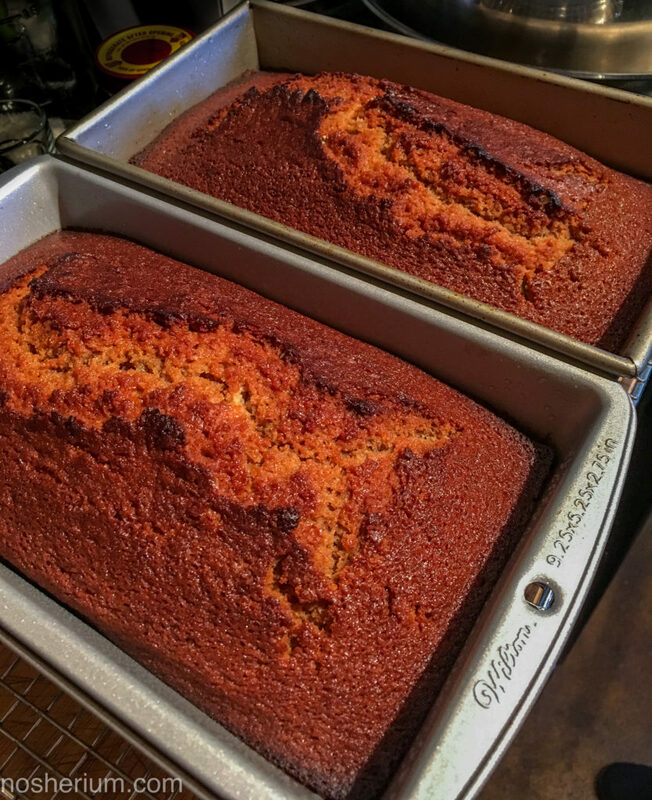 Deb of Smitten Kitchen has a marvelous recipe for honey cake that I name-dropped last year that is just different enough from my family’s classic. The texture is lighter, and the flavoring a little different. This time, I couldn’t help but tinker with the spices and I love the outcome. Instead of limiting it to cinnamon, cloves, and allspice, I used the spices that feature in masala chai – that wonderful Indian spiced tea. I dialed back the cinnamon and allspice, kept the cloves right where they are, and added ginger and cardamom. Throw in a strong cup of masala chai, orange juice, wonderful vanilla, and some bourbon, and we’ve got ourselves a spicy ballgame! Anyhow, check out this recipe if you want a richly spiced, airily textured cake with a tender crumb. 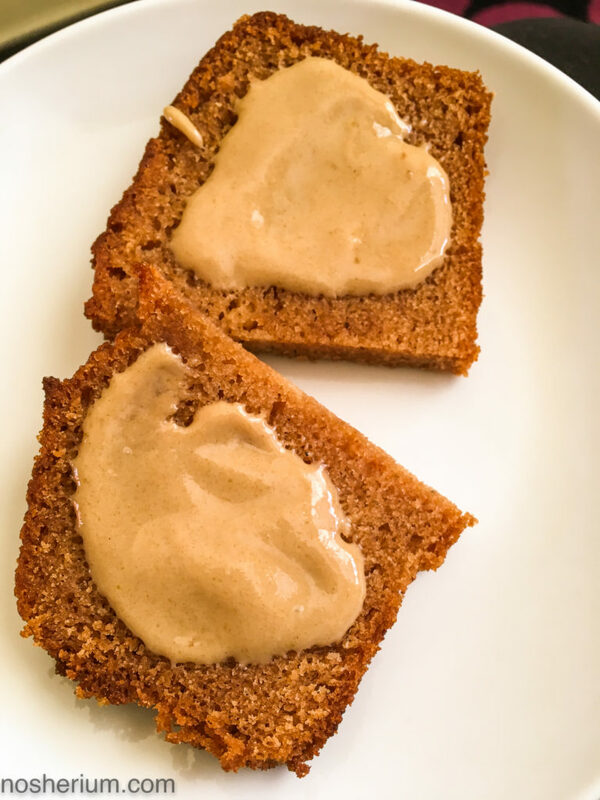 To be very correct, I would call this Chai Masala Honey Cake – chai means tea, the masala is the spice. Richly spiced, airily textured honey cake with a tender crumb for Rosh HaShanah, or everyday! Modified from Smitten Kitchen to include spices reminiscent of Masala Chai. Preheat oven to 350°F. Generously grease two loaf pans or one bundt/tube pan with neutral cooking oil. For all that is good and holy, line the bottom with lightly greased parchment paper, cut to fit (I usually do, but didn't this time and regretted it). Using a strong whisk or a stand mixer on the very slowest setting, stir well until the batter is thick and well-blended, making sure that no ingredients are stuck to the bottom. I used a stand mixer and the liquid splashed around a lot. In the future I'll do this by hand. Pour batter into prepared pan(s). Place pan(s) on a baking sheet in the middle of the oven. The baking sheet will help the cake to bake evenly. Bake until cake tests springs back when you gently touch the cake center and a skewer comes out clean, but not entirely dry. Bundt and tube cake pans - 60 to 75 minutes. Loaf cake pans - about 45 to 55 minutes. If using loaf pans or some kind of adorable novelty pan, reverse or turn the pans about halfway through baking to ensure even baking. My cakes alway get a little dark on top, but I don't mind. Let cake stand fifteen minutes before removing from pan, let the cake cool completely on a rack before serving or freezing. Deb at Smitten Kitchen says that she gets three loaves out of this recipe. I only get two.